Spiral classifier is one of the equipment for ore dressing. 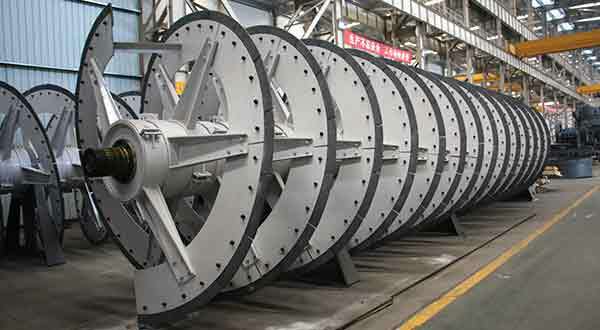 The rotor adopts the central structure and the spiral blade is installed on the central shaft. The reducer is connected to the central shaft for work. The working principle of spiral classifier is that the different specific gravity makes the sedimentation rate of solid particles different in the liquid. Spiral classifier works together with ball mill at ore dressing plant, forming a closed-circuit cycle to distribute ore and sand, or used at gravity mill to grade ore and fine mud, and metal dressing process for ore pulp particle size classification, as well as washing operations for desliming, dehydration and other operations. The machine has the characteristics of simple structure, reliable working condition and convenient operation. 1. 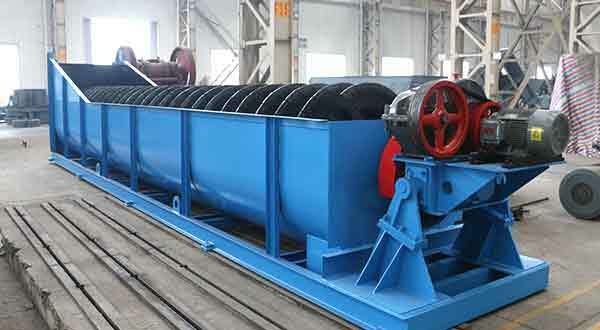 Suitable for dry sand production lines of large and medium size. 2. The content of 0.00--0.75mm stone powder can be adjusted between 2% and 15%. 3. Long and narrow flume can make the best stirring effect, prolong the suspension time of materials in water. 4. Bolt-mounted wear-resistant lining plate can extend the wear life. 5. The classifier can be selected in single spiral and double spiral according to actual needs, and at the same time, the selection range of flume design is wide. 1. Each lubrication point is filled with sodium soap grease or albany grease. 2. Each shift should check whether the lubrication oil inside the reducer in the right position of dial gauge, change the oil every 6 months. 3. Check whether the bottom seat or the middle frame bearing bush, bearing and seal ring are worn or not, whether the bearing bush is damaged, if found please replace in time. 4. For bearing lubrication, use grease gun to add oil into the bearing every 4 hours to keep the good sealing performance.